Complete design and manufacturing service for all your container and handling needs. 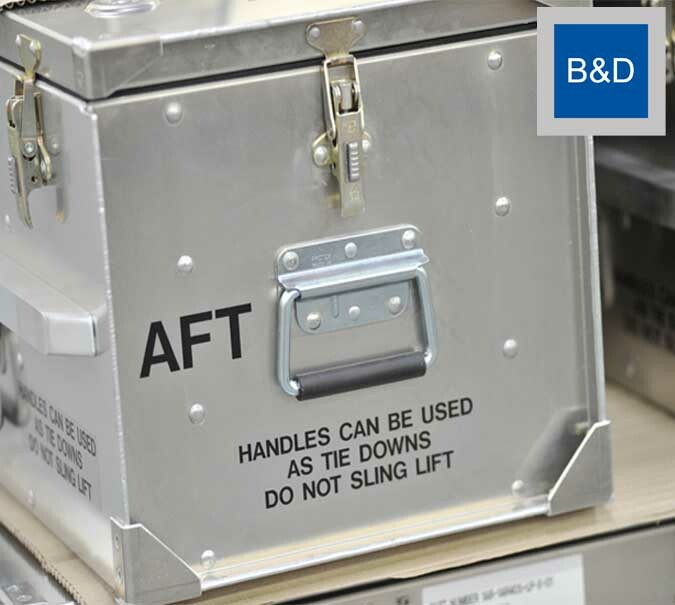 Drawing on our experience of the space, aerospace, defence and offshore industries we design and manufacture bespoke metal fabricated transit and storage containers, handling frames and trolleys. From small cases to large transit containers, we manufacture single items or high volumes based on your needs. 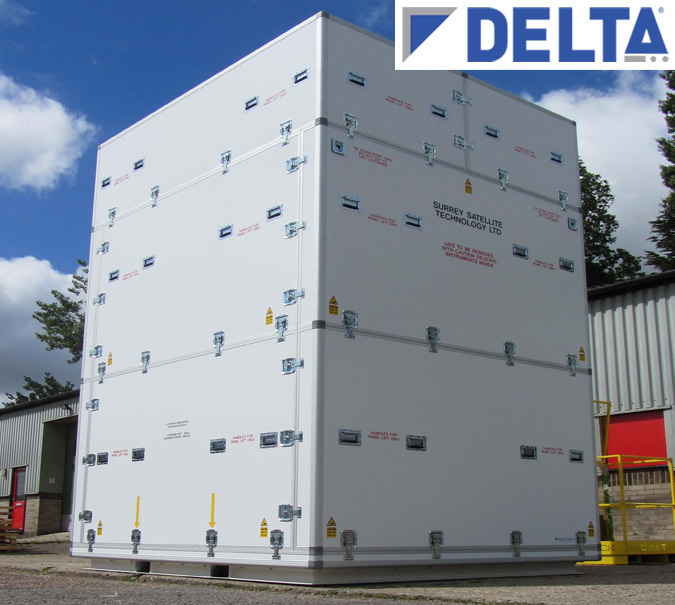 Our stand out service, the capability to manufacture transit and storage containers for valuable, delicate equipment. 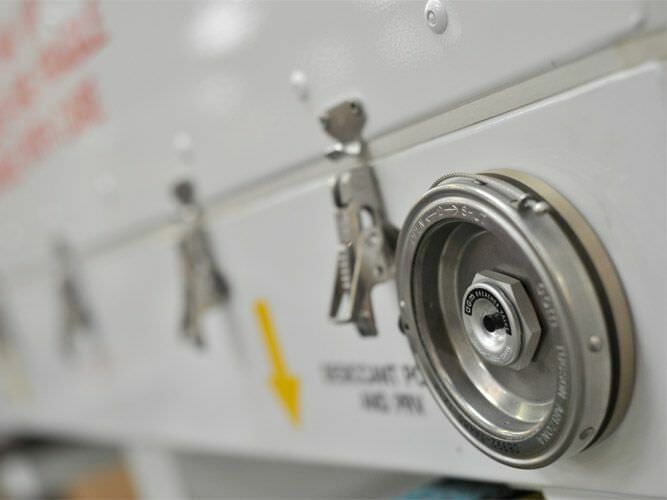 Working to often rigorous specifications, Barum & Dewar have over 20 years’ experience in the build of containers for space hardware, optical equipment and similarly demanding assemblies. 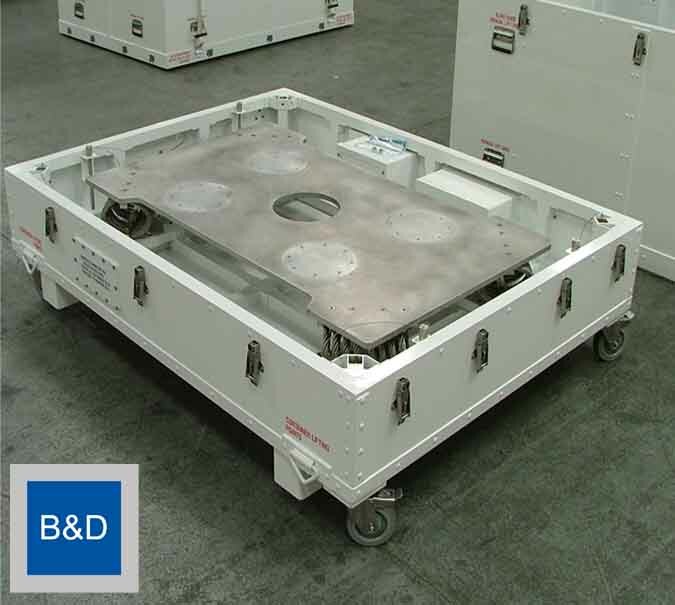 With attenuated interface plates, humidity control and sealed for purging with inert gas, these containers provide the required environment to ensure equipment reaches its destination in prime condition. Containers are lift, drop and water spray tested prior to client hand over. Marine, aerospace and defence equipment often require shipping from location to location around the world. Specific to contents containers are a Barum & Dewar strength, tailored cases provide efficient reusable packaging. Robustly constructed in aluminium and steel, these fabrications are built to last. Containers can be fitted out with specific fitments to securely transport irregular and very heavy items. We manufacture and certify lifting beams and fixtures to aid loading. 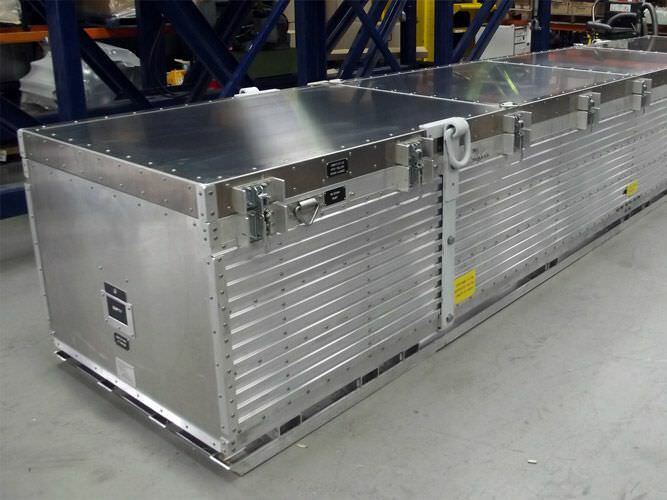 Our large fabricated container experience and manufacturing capabilities are second to none. The modular design and ability to scale is a feature of the DELTA® range. Honeycomb panels are secured into an aluminium extruded frame with patented corners and bracing. This provides incredible strength whilst being lightweight and allowing wide flexibility in design. Base sections can be constructed to take payloads of several tonnes. DELTA® cases are reusable and reconfigurable, lids can be collapsed to reduce container size for empty or return shipping. This flexible design offers the ability to expand and alter containers for future needs. Applications are wide and varied, we have designed large and complex containers over 4 metres high and our experienced Technical Design Team are available to discuss your requirements in more detail. 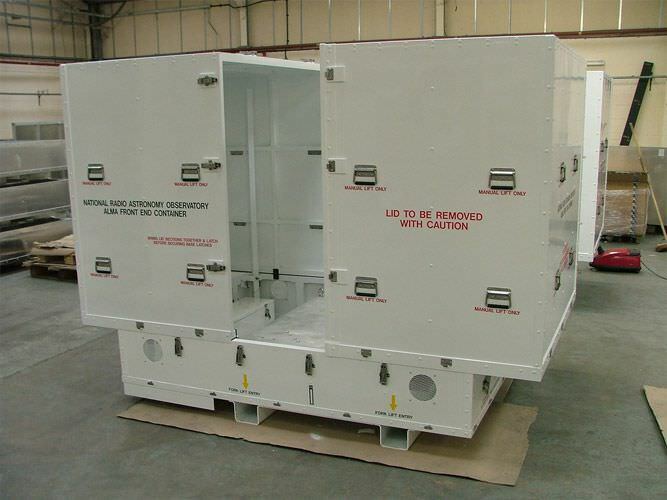 We manufacture fabricated containers sized specifically to match your contents. Bespoke containers do not have to be large. 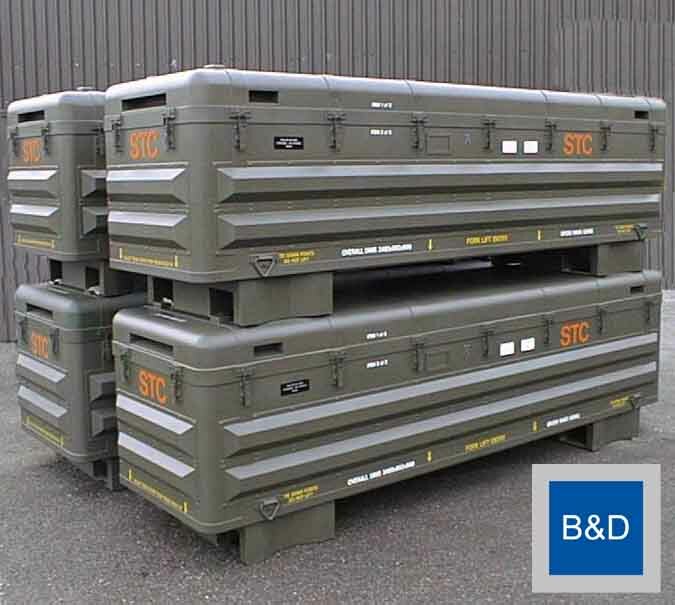 Built to transport equipment safely, these cases can be specified to suit the application exactly. Features can include items such as a PRV, humidity indicator, desiccant port and purge valves. Lifting handle quantities and positions can be set as required to suit the application along with stacking features, labelling, catches, tie down and lift points. We are experienced in painting containers to industry standards including special finishes and properties. Both low and high volume orders can benefit from this bespoke service. A solution that combines the cost effect use of standard ‘off the shelf’ containers with bespoke, project specific modifications. High quality standard containers such as Zarges K 470 and K 475 ranges can be adapted to meet a variety of project demands. Sprung shock mount plates can be installed with kit retention features such as clamps or straps. Internal metal brackets and CNC cut foam cushions provide the best possible contents location and protection. We have designed and manufactured many adapted cases providing efficient packaging solutions. 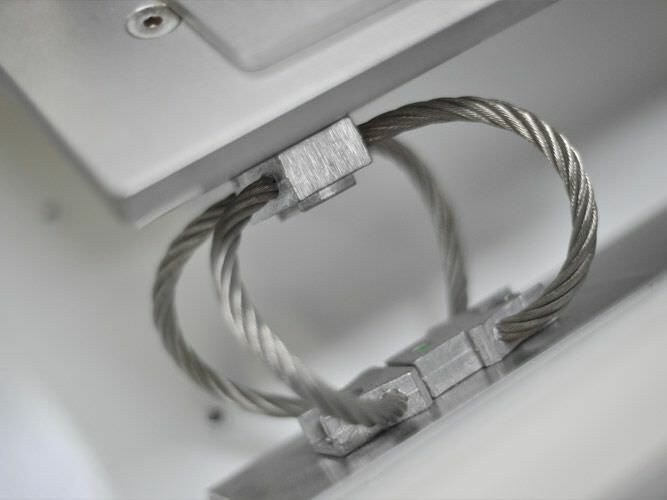 Practical features are standard on aluminium rack cases, but they can be modified to provide further flexibility. Barum & Dewar design, manufacture and install product enhancing features to aluminium rack cases such as the Zarges Mitraset Classic and Racklite. 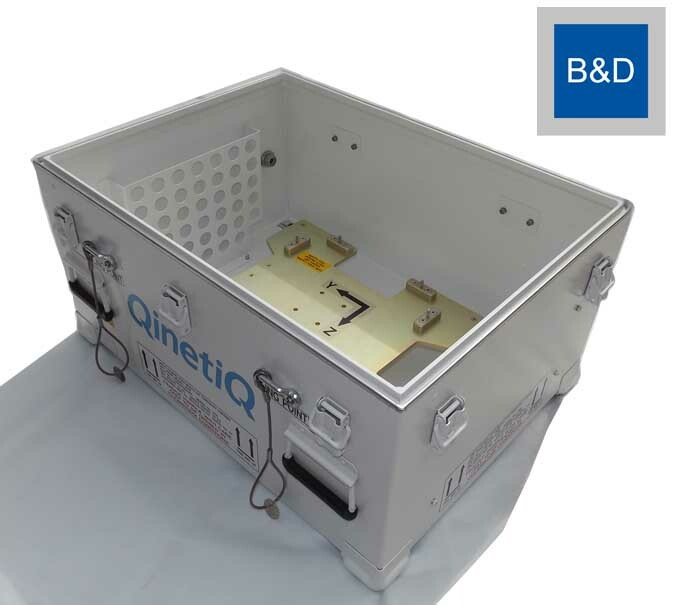 We can extend lids to accommodate deeper electronic components, install cooling fans and add ventilation louvres. Apertures to accommodate switches, connectors and indicators can be cut into case body and lids. 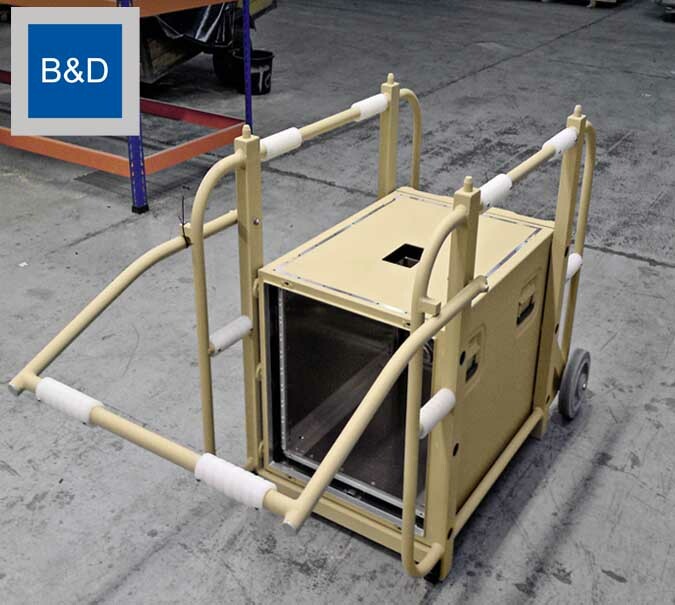 Trolleys and handling features can widen the cases field of use. We can advise on the implementation of modifications to enhance your case. 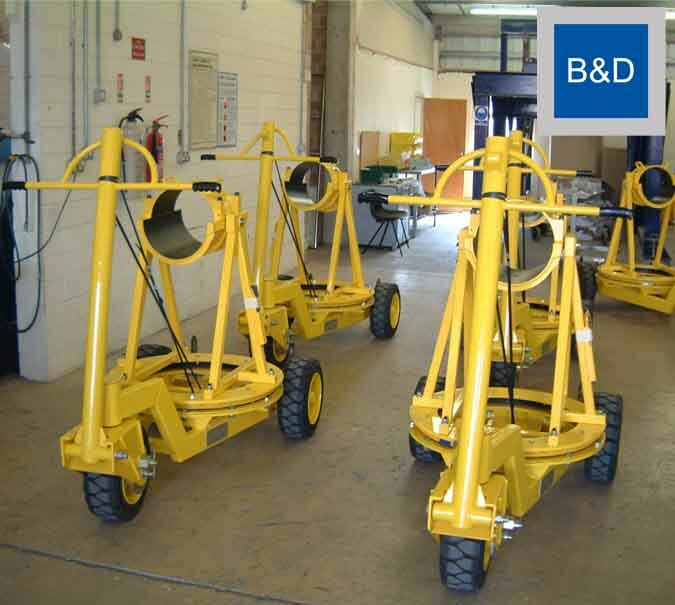 Manoeuvring large assemblies is made easier with bespoke handling equipment. Barum & Dewar do not only manufacture containers. 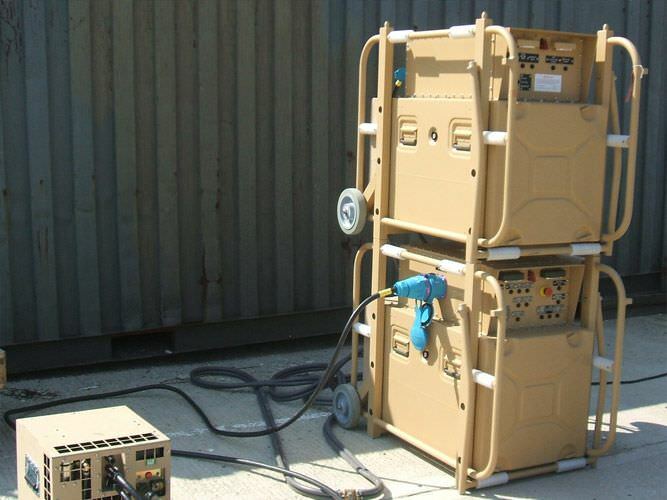 A full design, build and test service is available for the production of trolleys, lifting beams and fixtures. These items make difficult and safety critical operations like lifting, loading and movement a less arduous task. These items are not standard, they are built to fulfil an intended task, specific to your needs.